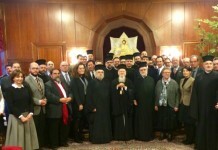 In this spirit, all the local Most Holy Orthodox Churches participate actively today in the official theological dialogues, and the majority of these Churches also participate in various national, regional and international inter-Christian organizations, in spite of the deep crisis that has arisen in the Ecumenical Movement. This manifold activity of the Orthodox Church springs from a sense of responsibility and from the conviction that mutual understanding and cooperation are of fundamental importance if we wish never to „put an obstacle in the way of the gospel of Christ (1 Cor 9:12). Certainly, while the Orthodox Church dialogues with other Christians, she does not underestimate the difficulties inherent in this endeavor; she perceives these difficulties, however, on the path towards toward a common understanding of the tradition of the ancient Church and in hope that the Holy Spirit, Who “welds together the whole institution of the Church, (Sticheron at Vespers of Pentecost), will „make up that which is lacking” (Ordination Prayer). In this sense, the Orthodox Church in her relations with the rest of the Christian world, relies not only on the human efforts of those involved in dialogue, but especially on the guidance of the Holy Spirit in the grace of the Lord, who prayed “that…all may be one” (Jn 17:21). The Orthodox Churches that are members of the WCC regard as an indispensable condition of their participation in the WCC the foundational article of its Constitution, in accordance with which its members may only be those who believe in the Lord Jesus Christ as God and Savior in accordance with the Scriptures, and who confess the Triune God, Father, Son, and Holy Spirit, in accordance with the Nicene-Constantinopolitan Creed. It is their deep conviction that the ecclesiological presuppositions of the 1950 Toronto Statement, On the Church, the Churches and the World Council of Churches, are of paramount importance for Orthodox participation in the Council. It is therefore very clear that the WCC does not by any means constitute a “super-Church.” The purpose of the World Council of Churches is not to negotiate unions between Churches, which can only be done by the Churches themselves acting on their own initiative, but to bring Churches into living contact with each other and to promote the study and discussion of the issues of Church unity. No Church is obliged to change her ecclesiology on her accession to the Council… Moreover, from the fact of its inclusion in the Council, it does not ensue that each Church is obliged to regard the other Churches as Churches in the true and full sense of the term. (Toronto Statement, § 2). 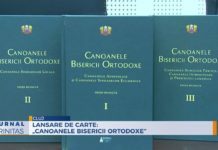 The Orthodox Church wishes to support the work of the Commission on „Faith and Order” and follows its theological contribution with particular interest to this day. 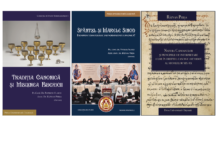 It views favorably the Commission’s theological documents, which were developed with the significant participation of Orthodox theologians and represent a praiseworthy step in the Ecumenical Movement for the rapprochement of Christians. 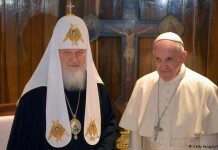 Nonetheless, the Orthodox Church maintains reservations concerning paramount issues of faith and order, because the non-Orthodox Churches and Confessions have diverged from the true faith of the One, Holy, Catholic and Apostolic Church. 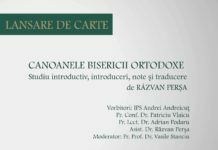 The Orthodox Church has a common awareness of the necessity for conducting inter-Christian theological dialogue. 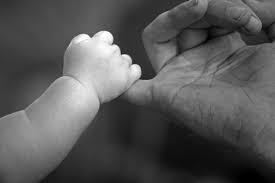 It therefore believes that this dialogue should always be accompanied by witness to the world through acts expressing mutual understanding and love, which express the „ineffable joy” of the Gospel (1 Pt 1:8), eschewing every act of proselytism, uniatism, or other provocative act of inter-confessional competition. In this spirit, the Orthodox Church deems it important for all Christians, inspired by common fundamental principles of the Gospel, to attempt to offer with eagerness and solidarity a response to the thorny problems of the contemporary world, based on the prototype of the new man in Christ. We pray that all Christians may work together so that the day may soon come when the Lord will fulfill the hope of the Orthodox Churches and there will be „one flock and one shepherd” (Jn 10:16).